This is a continuation of Kosmo’s Job Search Journey. The timing of this update is particularly helpful as I’ve been extremely sick the last couple of days and all my other responsibilities have been piling up. Now that I have arrived at the successful conclusion of my job search, it’s time for me to turn my experiences into advice for other job seekers. If you’re getting a severance payment, it can be tempting to take a few months off and live off the severance. I know several people from my previous job who did this. I’d caution against doing this. Get started with the job search immediately, because you never know how long it will take you to find a job. If you get an offer, you can always negotiate a start date with the new employer. Most employers won’t mind delaying the start date a week or two if you want to take some time off. I found out that I would be losing my job a full six months before the termination date. Despite having this much notice – and a healthy severance – I started the search immediately. I applied for a job that night. What did I do with that severance payment? Invested it in an index fund, where I’m not tempted to spend it. At first, I was only looking for permanent positions. It hadn’t even occurred to me to consider contract work until a staffing company happened to email my wife, asking if she knew anyone interested in a business analyst position. I also left no stone unturned when it came to submitting resumes. I submitted resumes for nearly every opening within a 70 mile radius. (Note that I live in Iowa, so 70 miles is roughly a 70 minute drive). I submitted resumes at companies that employed thousands, as well as companies that employed dozens. I submitted resumes to companies hiring teleworkers. I did avoid a handful of companies that had incredibly toxic reputations, but only a few. Salary is the thing that most people focus on. Let’s compare two hypothetical job offers. Employer A offers a salary of $100,000, 2% 401(k) matching, and two weeks of PTO. Employer B offers a salary of $95,000, 5% 401(k) matching, defined contribution pension (5% of salary), and four weeks of PTO. Which of these benefit packages is better? It’s B. The 401(k) matching, pension, and extra PTO easily offset the $5000 difference in salary. Often, it’s not as clear cut. You might need to choose between a higher salary and a more flexible schedule or choose between a nonprofit and a large multinational corporation. In the end, you need to determine what is important to you. If you’re like most people, not all of your responsibilities fit nicely into a specific role. In my case, I had begun my career as a business analyst, but had taken programming classes and had done coding work on large projects that deployed enterprise level tools. For much of my career, I had functioned in a hybrid role, doing whichever tasks were needed at the moment. Most companies aren’t looking to hire hybrids, though. They’re looking to fill a specific role. I had to decide whether to advertise myself as a programmer or a business analyst. In my case, it wasn’t particular difficult. My somewhat limited experience and background as a programmer meant that I was was somewhat weaker on those skills than I was as a business analyst. So I pitched myself as a business analyst who had some bonus technical skills. If you have the opportunity to partake in mock interviews, do it. I didn’t do this (despite having ample opportunity), and wish I had. Interviewing is a nerve-wracking experience, but it gets easier with repetition. It helps you get prepared for certain types of questions, as well as getting comfortable with the interview process itself. Remember that the process is just as difficult for the hiring manager as it is for you. They aren’t trying to trip you up; they’re just trying to get a good feel for your skills. I’ve been on a few interview panels at my current job, and it’s very difficult to determine if someone is a good fit based on a short interview. Getting an insight into the person’s thought process is often more important than the specific answer. Always be positive in an interview. When asked why you’re leaving an employer, put a positive spin on it. In my case, I said that my company was consolidating its IT workforce into four locations, and that I preferred not to move because of my strong roots to the local area. Enter the interview with a smile, exit it with a smile, and try to keep a positive demeanor during the interview, even if the interview is stressing you out. A key thing to remember is that the interviewer wants you to do well. They want you to be the candidate they hire, so that they can wrap up the expensive and time consuming search process. The positivity shouldn’t stop when you get the job, especially if it’s a contract position or the job has a probationary challenge. See obstacles as challenges to solve rather than negative aspects of you job. How someone fits into a team is very important. We recently lobbied our boss to have a new team member assigned to a solo project. The team member wasn’t much of a team player and was killing morale and productivity. The boss agreed, moved some people around, and productivity skyrocketed. So you found a job? Maybe you leveraged some connections to get a leg up. Remember that this is a two way street. If you become aware of former colleagues who are looking for a job, reach out to them. Offer to be a reference, a sound board, a resume reviewer, anything. Not only will this produce good karma, but you never know when you might need help from that person. It’s Lazy Man back for this section. I think Kosmo hit on many things that were important for my job search journey. There was a big tech layoff in 2001 and the whole department was let go. I got a sizable severance, but I still did everything I could to find a new job. Unfortunately at the time, there were so many programmers and no one was hiring. That’s what happens when there is a technology bubble bust. The supply and demand was simply not on my side. This experience played directly into me creating Lazy Man and Money with the idea of exploring financial independence and alternative income streams. It wasn’t like I could live at the time on just my dog sitting income, but it definitely extends your emergency fund. Unfortunately for me, perhaps the advice that hit home the hardest was to focus on strengths. Though I have a background as a software engineer, I get bored doing one thing and got bored doing that. I started the blog and that has been good for awhile. However, I’m midway through year 12 and it’s getting more and more difficult to find interesting topics to write about. Dog sitting isn’t a skill that’s in high demand. One of my other new gigs is being a blog editor. That’s interesting, because it’s a little different than writing personal all the time. Another gig is customer service for a cloud company. I don’t know too many people who love customer service jobs. However, they are necessary and the one I have is some people I like, which is good. At the end of the day, my strength is almost like not having one. I am kind of good at blogging, very good in personal finance, below average in programming (I’ve forgotten a lot and technology has changed), good at dog sitting and customer service, and very good at reading legal briefs on defamation. Only a small company is looking for that kind of diverse skill set. In the short term, I’ll probably just keep juggling the same hodge-podge of stuff. Financially, it’s been working for us and it gives us the flexibility we need with two very young kids and my wife’s demanding military job and college career. Interviews are of varying lengths. Some are thirty minutes long, some are an hour or two. Some interviews last an entire day. I recently finished an interview that lasted for seven months! Ok, it wasn’t exactly technically an interview. It was a contract position, and my goal was to get hired as a permanent employee. In my opinion, the best way to do this was to perform at a high level for the duration of my time as a contract employee. It was sink or swim from day one, and I swam. I’ve been in the industry for two decades, so not very much fazes me at this point. It was interesting to be thrown into the action with barely any background on my project, but it wasn’t insurmountable. I read documentation, combed through the existing code, and asked enough questions to learn what I needed, without asking so many that I was annoying. Before long, I had righted the ship, gotten the train back on the rails, and utilized several other idioms. Once my primary project was humming right along, I got pulled into another project to back-fill for someone who had left. I had even less background for the second project than I did the first. At least the first project dealt with some accounting concepts, which allowed my to utilized my dusty accounting degree. The new project was all data and reporting. To make it even worse, there were multiple sub-systems, and it wasn’t very clear how they interacted. I jumped in and began to work on testing. This presented a huge challenge. Most of the requirements had been written months ago, by people who were no longer on the project. Many of them were very vague, and I had to lean on the veteran technical analyst to even understand what functionality was being added. Eventually, the other business analyst (also new) and I were able to get things on track. We tested eight months worth of new functionality and regression tested the entire application. We had to restart regression testing a couple of times due to new bugs. At this point, we’ve pushed that block of code to production and are ready to tackle the next big block of testing. Originally, the idea was to loan me to the project for two months, until a new person could be hired to fill the position. That was five months ago. I don’t think the project is going to let me leave any time soon. I always come to work with a smile on my face, and it’s apparent that I care a lot about the quality of the code that gets implemented. Finally, HR contacted me about converting to permanent employee status. I tried to push for 25 days of PTO, but they have a hard limit of 20 for new employees. That was a a bit of a letdown, since I had worked myself up to 30 days at my previous job. Money, of course, would be the main point of negotiation. I knew that the local market for someone with my qualifications and experience was about 7-8% below what I had been making in my previous job. A friend of had been forced to take a pay cut when he switched job. I knew a pay cut was a distinct possibility and was bracing for them to make a low offer. What did they offer? Well, they really didn’t. They asked my what I was looking for. I asked for a number that was 3% above what I was making at my previous position. This was the midpoint for someone in the lead business analyst role, and was, according to my information, about 10% above the market rate for someone in my position. It was a significant amount about what a friend of mine in a similar position recently got from his new employer. I felt like I had a good chance I’d get what I had asked for. Although I was asking for a premium over what they were likely to offer another candidate, I had something the other candidates didn’t. I have seven months of experience in the exact role. I had clearly exceeded their expectations, and they knew what they were getting, both in terms of ability and temperament. I had essentially been on a seven month interview. Finally, after being approved by three levels of management, HR was able to make me a formal offer. The offer was for the exact amount I requested. A small part of me regretted not asking for more, but all in all, it was a very fair offer. I’m relieved to finally be an employer rather than a contractor. When I last spoke to you, I had begun contract position with one of the leading employers in the area. Although I had a bird in the hand, I was also pursuing a bird in the bush – a permanent position. I have been actively pursuing other positions. In the last few months, I have advanced to the final round of interviews three times, with vastly difference experiences. One employer contacted me five months after I had initially contacted them. I had the standard conversation with the recruiter, took a Wonderlic test, and showed up for my on-site interview on a Friday afternoon. Unfortunately, the hiring manager seemed very ill-prepared. She asked only a couple of questions – neither of them very probing. I asked questions about the specifics of the position in an effort to keep the interview alive, but it was obvious she had no interest in being there. I’m not sure if she just wanted to get out of the office and go home for the weekend, or what. Not surprisingly, the company ghosted me after the interview. Note: the Wonderlic questions were much more simple than I would have assumed. It’s more a test of how quick you can think, as opposed to testing the depth of your intellect. Another company also contacted me months after I initially applied. In fact, they had already told me I wasn’t being considered for the position. It turns out that I was overqualified. They were looking for a junior level (cheaper) analyst and eventually came to the realization that they needed a more senior person. Once again, I took an assessment and was called in for an in-person interview. Unfortunately, the types of questions that were being asked made it clear that I wasn’t a good fit for the position. They were looking for someone who was primarily a training specialist with experience rolling out off-the-shelf software. My core strength is helping design new software from the ground up. Once again, I wasn’t terribly disappointed that I didn’t get the job. I don’t think I would have enjoyed it. Another company contacted me less than a day after I applied. This company is a major player in the education space – a company you’ve almost certain heard of. Although they pay a bit less than some of the for-profit companies in the areas, they have a nice set of benefits, include 30 days of PTO for new hires. From the start of my search, this company was among the top two companies I was pursuing. The HR rep contacted me and arranged a phone interview for the next week. When he called, I missed the call – because he called on the wrong day. I was able to touch base with him about ten minutes later, and he was apologetic when he realized his gaffe. He was willing to called back the next day, but I offered to go ahead and do the interview right then. What better opportunity to prove I could think on my feet and not be rattled by the unexpected? A few days later, I was notified that I made the cut for an on-site interview. I was very confident that I had landed the position. Unfortunately, a week later, I found out that someone else got the job. A friend of mine who works for the company told me that I was strongly considered, but in the end, they hired someone who had previously worked for the company. That’s understandable, because the group dynamic is very important, and there’s value in having some certainty regarding how someone will mesh with the team. I’m optimistic that I’ll find a permanent position soon. If nothing else, these interviews have given me practice for future interviews. I’m much more confident in interviews than I have been in the past. Now as see them as an opportunity, instead of a necessary evil. In the interim, my contract position continues to go very well. I am establishing myself as someone who is ready, willing, and able to handle any challenge and also willing to mentor others. It has probably been the most productive half-year stretching of my two decade career. This is a continuation of Kosmo’s Job Search Journey. When we last caught up, Frustration turned into Success. Four months ago, I began my new job. I quickly realized that I was going to have to hit the ground running. The guy I was replacing was heading to a new position the next week. Not only was he moving to a new team, but he was physically moving to a new building. I had a week to learn everything I needed to know. My team would consist of two members. I would be the business analyst, and the other team member was the developer (programmer). We were building a system to replace the company’s financial reconciliation system for the investment accounting area. As someone who was accustomed to large project teams (often a dozen or more people), this was a big change. Early in the week, my boss spent a half hour with me and another new hire, giving us the basics of investment accounting. Although I have a degree in accounting, I hadn’t used that knowledge in my previous job, and it had gotten a bit rusty in the twenty years since I had last sat in a classroom. The basics came back pretty quickly, though. It was like riding a bike – you don’t forget. The first week was spent acquiring the access and software I would need, as well as spending time with the outgoing business analyst and the developer I’d be working with. The learning sessions were helpful, but it seemed like I was missing a lot of context. I finally asked the BA if there was any additional information, such as meeting notes from discussions with the business partners. Yes, there were meeting notes. (Why hadn’t he shared them right away? I have no idea.) These helped provide a bit of context, but it became obvious that the high level requirements that had been gathered to this point didn’t capture the whole story. In my second week, I requested Visual Studio 6 for my workstation. (Yep, the current system was that old). I was hoping that the existing code would be well-documented. Not exactly. The areas that had been updated recently were pretty well documented. Other areas had very limited comments, if any. This was going to be an interesting challenge. The system was heavily dependent on database stored procedures. I was aware of the existence of stored procedures, but had never actually used them. In my previous job, I had done occasional coding work, but even in those cases, I always interacted with an object that did all the database interactions – I had rarely written code that had interacted directly with the database. Well, it was time to learn. Once again, the stored procedures weren’t particular well documented, although recently updated ones were better. I spent several weeks poring through the existing code, trying to reverse engineer the existing process. I was doing this mostly on my own, as my developer had his hands full with other tasks. He was always helpful when I had technical questions, though. By the time I was ready to engage the business area to drive out detailed requirements, I had created quite a few Visio diagrams detailing the process. These were helpful in explaining things to the business partners and my developer. At this point, I have a better understanding of the workings of the current system than the developer or the business partners, due to being immersed in it for months. I had been warned that the business partners might be somewhat difficult to work with, mostly because of frustration at the limited progress the project had made. I didn’t let this discourage me, and I went into the sessions with the positive attitude. My attitude was infectious. Even though I was a contract employee, I think the business partners realized that I wanted to help build a solution that was the best fit for their needs. We’re mostly through the requirements process at this point. We still have a few points to drive out further, but we have most of the system requirements hammered out. My developer is beginning work on screens and some of the basic logics. Although the project is technically using a waterfall method, I’ll be pushing it to a more iterative approach. There’s a lot of complexity in the project, and handing off the entire system for user testing at once would be a recipe for disaster. I’m confident that the business partners will change their minds on a few things, and it’ll be better to know those changes as early in the process as possible. The job is a contract to hire position, with the contract set to expire in late September. My boss isn’t sure he’ll have budget to hire me at that point, but I’m very confident that the contract will be renewed. I’ve had discussions with my recruiter to push my rate up a bit for the second contract. When I initially negotiated, I knew that I was probably leaving a few dollars on the table, but I was more interested in making sure I got the gig, so that I could get a foot in the door at a leading company in the area. Also, after twenty years with the same company, I wasn’t sure how my skills would translate to another company. At this point, it’s obvious they translate very well. I’ve gained a reputation for having a willingness and ability to dive into things and figure out how systems are working, as well as a willingness to assist with other projects, and an ability to get along with everyone on the team. So far, so good. If the company offers my full-time employment at a salary that matched the salary at my previous employer, I’d definitely take it. It’s interesting work, and it’s a great work environment, with a boss and co-workers who are easy to get along with. 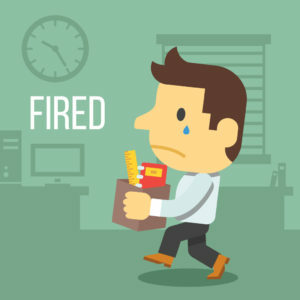 This is a continuation of Kosmo’s previous article, Frustration in his Job Search Journey Series. It jumps right in where he left off. My interview started off well. One of the analysts in my interview had graduated from my high school a couple years ahead of me. It’s a small high school (50-60 in a graduating class). I vaguely remembered the guy, but I did remember that he was on the basketball team. That seemed to make him happy. – who doesn’t like being reminded of their glory days? Testing is important – it’s not simply a box to check off. While the goal of a developer should be to avoid defects, the goal of a tester should be to find defects. If you don’t find any defects during testing, you probably missed some that will impact you in production. The interview was on a Friday. The manager told me to expect to hear something by Monday or Tuesday. I didn’t have to wait that long. Later that afternoon, I got the call. I was offered the job on a contract-to-hire basis, meaning there’s a good chance it will turn into a permanent position at the end. The position was initially described as a straight contract position, so contract-to-hire was a nice surprise. Optimally, I would have gotten a permanent position with higher compensation than what I currently have. I didn’t get that. It’s not a permanent position, and the total compensation is slightly lower than my current position. It became obvious pretty quickly that I’m well compensated by my current employer (including a pension), and this would be hard to match in the current environment. However, I do get paid overtime (at least during the six month contract phase of the job), so there’s still an opportunity to match my current compensation that way. Since I won’t be receiving a pension, I’ll be increasing my 401K contribution in an effort to compensate. Now, the positive aspects of the job. First, it’s one of the premier companies in the area. It wasn’t the very top company on my list, but it was definitely in the top three. The commute is also great – just 15 miles (or about 20 minutes) from my house. I don’t even have to drive into the busier part of the Cedar Rapids metro area to get there. The job itself also seems interesting and challenging. Overall, the opportunity is as good as I could have hope for. I’m excited to get started – the past three weeks have been passing very slowly. I’ve been transitioning my current work to a longtime colleague and am in the final stages of wrapping things up. My manager is allowing me to use my accumulated vacation to reach the employment date I need to qualify for severance. It’s 30 weeks of severance, so this is a pretty big deal. Since the contract-to-hire position has no guarantee at the end, the severance money will be tucked into the rainy day fund. My parting from my current job has been amicable. The people who made the decisions about the reorganization were at a higher level. My first and second level managers have been very supportive. I’m trying to remember all the good times over the past two decades, and have made an effort to make sure I’m not burning any bridges. After all, you might need to cross that bridge again in the future.